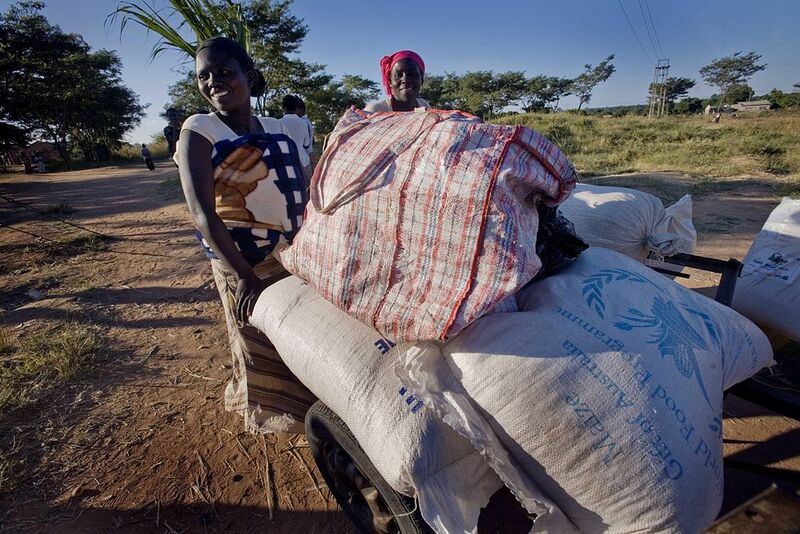 Women carry their village’s food aid from Australa in a cart, near a World Food Programme food distribution point at Epworth in Harare, Zimbabwe in April 2009. In February of 2017 the officials of South Sudan declared famine in the Unity State. More than 40 percent of the population are in urgent need of food. “A formal famine declaration means people have already started dying of hunger,” according to The Sudan Tribune. This is the first famine to be declared in any part of the world in the last 6 years. In an informational session at the UN City in Copenhagen, DK, WFP speaker Anne Poulsen spoke to their mission to reach every part of the globe and end world hunger. WFP reaches more than 80 million with food assistance in 80 countries each year, and is funded entirely by donations. They say 90 percent of the required funding to assist South Sudan is lacking. But against all odds, WFP plans to assist 4.1 million people in South Sudan for 2017.